Home > FAQs > Global > About Direct Energy > About Direct Energy > How are you different from your competitors? As one of North America's largest energy and energy-related services providers, Direct Energy is a diverse, vertically-integrated, and financially strong North American energy company with a solid record of growth in the past decade. Direct Energy provides customers with choice and support in managing their energy costs through a portfolio of innovative products and services. 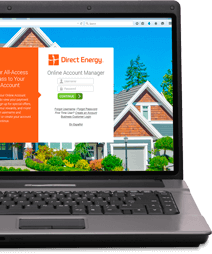 Direct Energy has more than 6 million residential and commercial customer relationships in 46 states and the District of Columbia in the US, and 10 provinces in Canada, and serves more residential customers than any other competitive energy retailer on the continent. We attribute our success to our ability to adapt, innovate, and earn the trust of customers in a competitive marketplace. We have adapted to changing markets by entering new geographies, varying our customer base to include both residential and business consumers, and developing a wide range of product lines tailored to address individual customer needs.